Set up a grouping of fruit or vegetables or flowers with a bowl or vase and any other objects whose form enhances your composition. Bear in mind all that you've learned about creating a good composition in planning your arrangement. 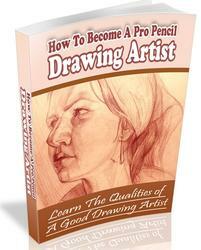 Remember to make a series of rough pencil sketches of different arrangements to help you select the best. Make a pencil layout of the arrangement you've chosen, using accurate construction methods. Then render your composition in pen and ink. Be sure to omit all unnecessary lines from your rendering. Do not include any detail unless it serves in some way to clarify or enhance the picture. See how well you can convey your subject using the fewest possible lines. Even when using few lines and solids, be sure that your finished drawing reflects a proper use of the elements and principles of art to form a pleasing composition. OUse a good grade of India ink. Shake the bottle and let the ink settle before you open it. pressure gradually to widen the stroke. Ease up 011 the pressure to make the stroke taper from wide to thin. ©Ink the strokes directly and freely but not carelessly. Know where you are going to begin and end a stroke, its width and direction, before you apply the pen to the drawing surface. OThe strokes can vary from a fine hairline to a bold, heavy stroke, but lines should not be lightly inked so that they look gray. This weakens an ink drawing. ©It's helpful to make up a large sample sheet showing various stroke directions, stroke weights, and stroke spacing. Then you will know what effects you can get with different strokes. ©Draw the contours of each form with a pencil and plot the light and shade areas for good contrast before you apply any ink. You will be able to work more confidently that way. Draw each stroke with one sweep of the pen. Don't go over it. ©Strokes spaced farther apart make an area appear lighter in value; strokes spaced closer together make an area darker in value. ©A moderately flexible point is easier to control than an extremely fine, flexible one and it will give you a better variety of lines than a stiff point. Experiment with a variety of points. For very bold techniques try using some small size lettering pens. ©To suggest a smooth, shiny surface, leave the strongly highlighted areas solid white and use some solid black in the darkest shaded areas. OWhen drawing still-life objects in pen and ink, most techniques require that the stroke follow the contours of the objects. Curved strokes are used on curved objects, vertical strokes on vertical surfaces, diagonal strokes on slanted surfaces, and horizontal strokes on flat horizontal surfaces. ® Avoid adding excessive detail. Suggest ideas to the viewer with pen strokes rather than attempting to draw each detail. they are, but of creating interesting effects through suggestion. 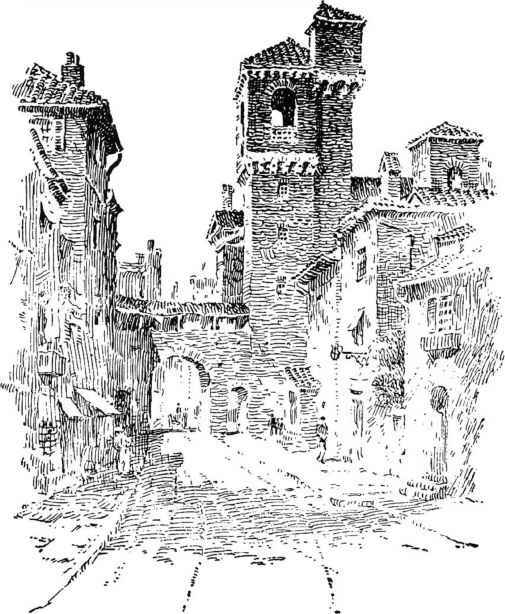 An ink drawing is at its most successful when it gives the viewer a fresh and uniquely interesting look at the subject. Special techniques can help create a special world in ink drawings. The technique of placing dots on the drawing paper by touching the pen point to the paper is called dot stippling. 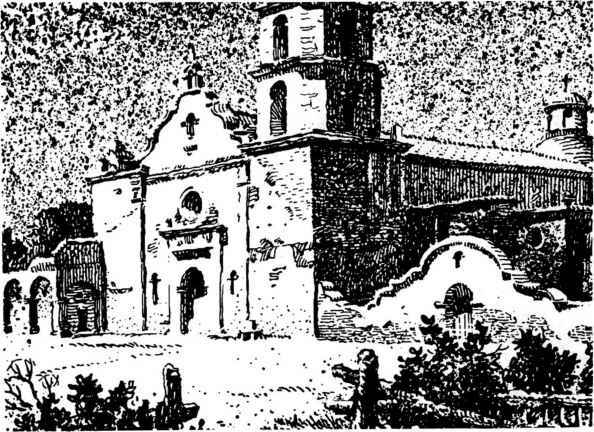 Very artistic renderings can be made by using stippling alone, although dot stippling is usually used in combination with other techniques. 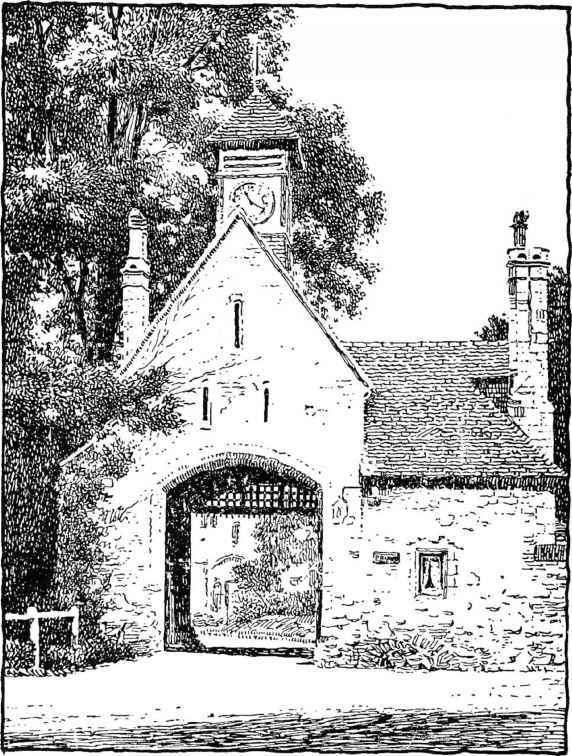 It is a very slow and meticulous method of rendering, especially when the picture is made without the aid of other techniques. For that reason, it is not used very much. Pad stippling, on the other hand, is a comparatively simple method of rendering, although it is used successfully only in combination with other ink techniques. Pad stippling, shown in Figure 9, is accomplished with easily made tools. Pads of fabric such as gabardine, heavy denim, linen, or corduroy, are wrapped around a small piece of wood, a coin, or a similar object, for support, and then dampened with a small quantity of black ink. The ink-dampened pad is then patted, or stippled, on the drawing. The grain of the fabric used in the pad gives its texture and a tone to the drawing. Cotton, loosely twisted around a stick, will also create interesting effects. Experimenting with pads and various amounts of ink will show you the range of possibilities. FIGURE 9 — Stippling technique. FIGURE 10 - Spatterwork over pen and ink. 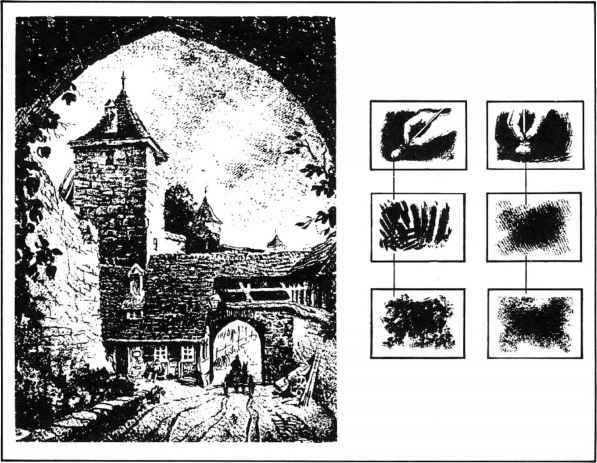 In Figure 10 you can see an effect somewhat similar to stippling, but known as spatterwork. This effect is familiar to most grade-school students. It's produced by holding an ink-dampened toothbrush at an angle and quite close to the drawing while scraping a stick, knife blade, or some similar object over the bristles. The bristles are pressed like a spring, and then released by the scraping action, causing the ink to free itself from the bristles and spatter the drawing. The stick or knife blade must be drawn toward you so that the ink will spatter away from you and onto the drawing. Before any spatterwork is attempted, all portions of the drawing should be covered with paper except the parts on which a spattered tone is desired. For small areas, such as the towers in Figure 10, where it is difficult to cover portions of the drawing with paper, a coating of rubber cement may be applied. The cement forms a mask which can be peeled off the drawing after the spatterwork has been completed and the waterproof ink is thoroughly dry. In fact, a coat of rubber cement can be applied over all portions that are not to be spattered. When the spattering is completed, the rubber cement can be rubbed or peeled off. 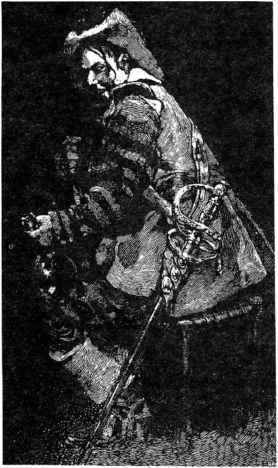 Pleasing and dramatic effects can be created by reversing the typical process of using dark ink on a white or light paper (Figure 11). White ink on black paper is most dramatic. Other interesting effects can be obtained by using contrasting colors such as an ivory or yellow ink on brown paper, etc. A scratchboard is a sheet of rather heavy board, similar to illustration board, but with a smooth, white chalky coating underneath a black surface. It is called scratchboard because you make a drawing on it by scratching through the black surface with a needle, razor blade, or some other pointed instrument, revealing the white surface beneath. The desired effect is rather like working in white ink on black paper, although scratchboard creates that effect with less effort (Figure 12). 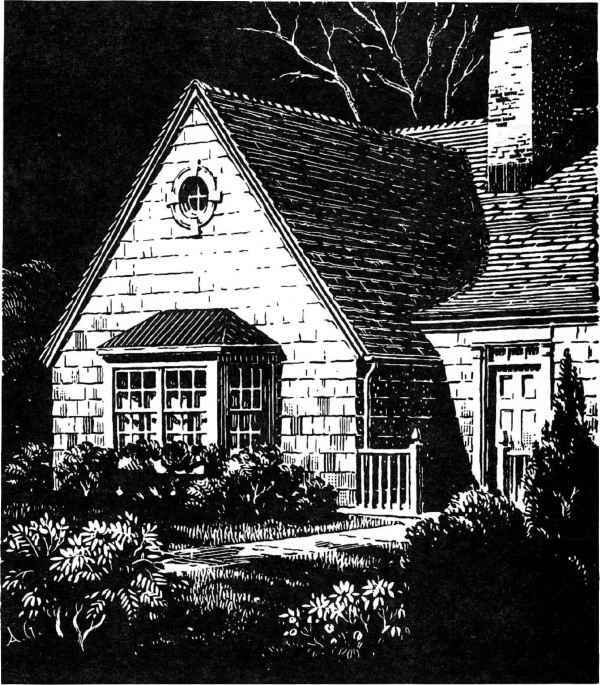 Scratchboard techniques reproduce well on the printed page, so they are often specified by advertisers commissioning an artist to do an illustration. Scratchboard also produces excellent imitation woodcut effects in the hands of a skilled artist. A special effect can be created by making an ink drawing exclusively of straight parallel lines (see Figure 13). To make such a drawing well requires planning the entire picture in detail before beginning to lay down the inked lines. Solids, white areas and value contrasts must all be determined before starting. An ink drawing completed exclusively in short vertical lines creates a distinctive and rather formal effect (Figure 14). It also results in a rather soft or "fuzzy" effect, which makes it far more suitable to some subjects than to others. Short lines applied in various directions (Figure 15) result in a more realistic and generally more interesting picture than the vertical line technique. Again, the particular subject determines how effective the technique is. When large areas of ink are desired on the drawing, such as in Figure 16, it's possible to abandon the pen entirely and simply pour the ink. All the areas which are to remain white, including the border, are first covered with a coating of rubber cement. When the rubber cement is no longer tacky, ink is poured onto the paper and allowed to spread naturally. (No tools should be used to spread it.) After the ink has dried, the rubber cement mask is removed by rubbing over it with a rubber cement "pick-up." This technique requires considerable practice to learn exactly how much ink to use since it does not work well if either too much or too little ink is poured onto the paper. 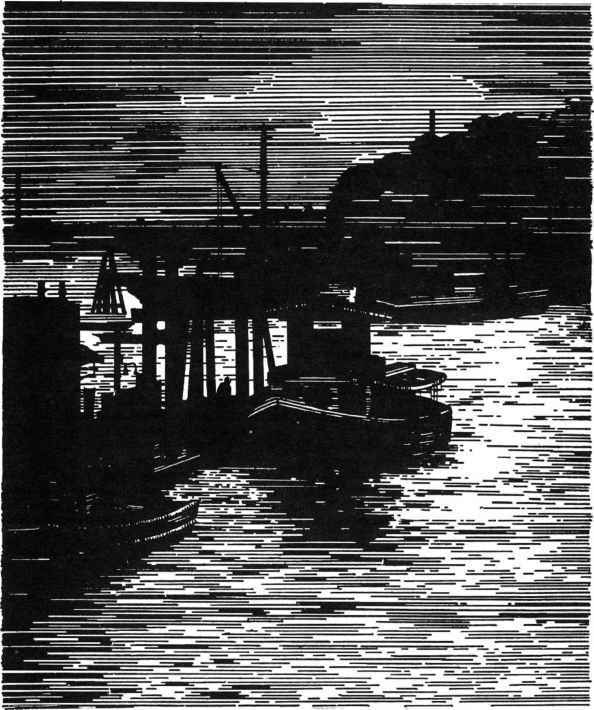 FIGURE 12 — Scratchboard rendering. FIGURE 13 — Ink drawing composed solely of parallel lines. FIGURE 14 — Vertical line technique. FIGURE 15 — Free direction technique. FIGURE 16 — Poured ink technique. The simplest ink rendering of all is one which only defines the outlines of the subject. 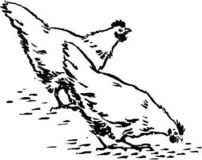 In Figure 17 only a few short lines are added to convey the texture of feathers on the bodies of the chickens. FIGURE 17 - Outline brush technique.